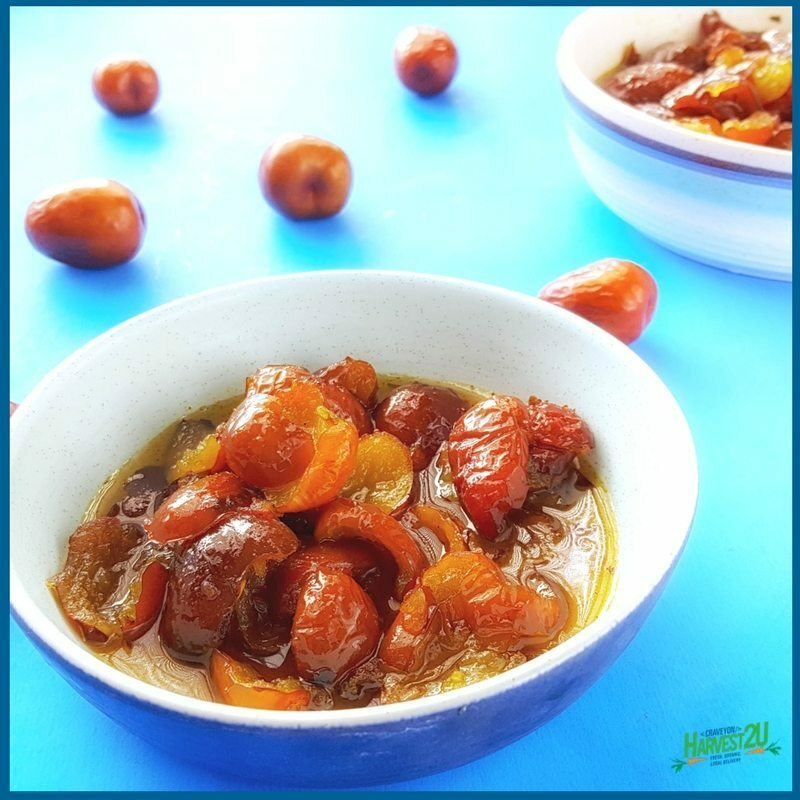 This Spiced Candied Jujubes recipe is made from the real fruit called Jujube. Jujubes have plenty of different names such as Indian Dates, Korean Dates, and Chinese Red Dates and are a favorite health food in the East. They can be used as a substitute for dates in most recipes. This recipe is my variation of Bengali Jujube Chutney, with more fruit and less syrup. In Eastern India, it is served with rice and lentils and is often eaten as dessert. I think it would be delicious mixed with yogurt, on top of oatmeal, on a cheese tray, or straight from the container as I have been enjoying them. The spices may seem like an odd combination, but they are incredibly aromatic and when combined with the sugar and sweetness of the jujubes are not hot at all. Though you could add more if you want it spicy. In a medium saucepan, heat olive oil, red pepper flakes, fennel seeds, cumin, and mustard on low for one minute. Add turmeric and jujubes, stirring to coat the fruit. Add water, cover, and steam for about two minutes, until the fruit starts to look soft. Stir in sugar and increase heat to a slow boil until the syrup is thickened. Let cool to room temperature and serve. Can be stored in the refrigerator.